The holidays are a great time to boost your agency’s service hours with intermittent clients. Those individuals who need service occasionally may find that they need a few more visits that normal during the holiday rush. Perhaps they need transport to end-of-year doctor visits, assistance with holiday errands, or help preparing to visit a relative for a holiday party. Whatever it may be, many seniors may find the additional helping hand of a trusted caregiver a welcome help during the holiday season. Marketing to Clients & Their Loved Ones: With ClearCare Online homecare software, you can use your homecare system to send messages to clients and their loved ones directly from ClearCare. Use this tool to let family caregivers know about upcoming availability and encourage them to schedule holiday shifts early. ClearCare Online also automatically tracks these messages in the Activity section of your homecare software so that you can log both outgoing and incoming response messages with ease! Checking Caregiver Availability: Monitoring winter vacations and holiday availability can be a bear. 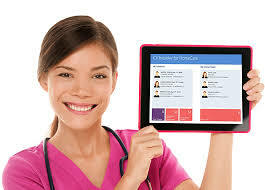 However, ClearCare Online’s homecare system lets you enter a caregiver’s period of unavailability. Then, with homecare system alerts, you’ll be automatically notified if you attempt to schedule a caregiver for a shift when they are logged as being unavailable. Scheduling tools within your homecare software also let you see at a glance which caregivers are available for shifts requested by clients. Real Time Transparency: For clients who don’t have regular care, family members may be especially concerned about knowing when a caregiver has arrived, and what occurred during a shift. With the transparency provided by a homecare software, such as ClearCare Online, those worries can be put to rest. Family Room information automatically logged by a homecare system provides peace of mind to family members and a stellar boost to reputation for agencies. Working to impress intermittent clients during the holidays with stellar service and the help of technology such as a homecare system, you may have the opportunity to turn occasional clients into regulars.